Burslem Cemetery opened in 1879 and covers approximately 11.4 hectares (about 28 acres) when it was opened it was intended to be a "a recreation park, to be used for walking, riding and driving" as well as a cemetery and at least a third of the land was taken up with the lodges, chapel, walks & drives. Only about five and a half acres was laid out for burials. "The Borough Cemetery is one of the most beautiful in the country. It was consecrated in 1879, and cost £20,500. It is under the control of the Corporation, which acts as the Burial Board. The Cemetery occupies a splendid situation upon a hill known as Nettle Bank, and covers an area of thirty-two acres. It contains many beautiful walks and shrubberies, and has a fine avenue of trees leading up to the mortuary chapel, which stands in the middle of the grounds." "The Mayor then stood upon the steps and declared the cemetery open as a burial ground, and also as a recreation park, to be used for walking, riding and driving. The cemetery is in a very suitable position, between the Leek New Road and Smallthorne. It rises slightly to the Smallthorne portion, and is about 28 acres in extent. A large portion has been tastefully laid out with plants and evergreens, by Mr Matthews, of Milton. The whole has cost about £17,000, the plans being made by Mr Richards. The wall is a very handsome imitation of Kentish rag work, and is formed of local stone. 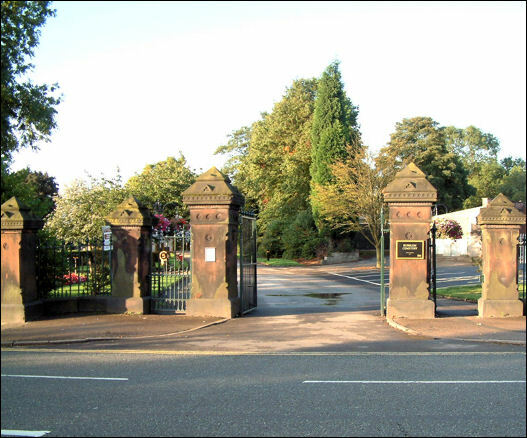 There are three handsome gates, with palisades, from Messrs George Smith and Co of Glasgow. The contractor for the roads was Mr J Walker, of Crewe. Two handsome lodges in Gothic style have been erected by Mr J Bowden, of Burslem, and give a very pleasing aspect to the entrances. It is only necessary to add that the greater portion of the cemetery forms a picturesque public park, and by the arrangements of the Council there will be nothing unseemly or thoughtless in its use as such. It is anticipated that the cemetery will be much patronised as a promenade. Its central situation has already caused a large attendance on Sundays, and this is expected shortly to extend to other days of the week." 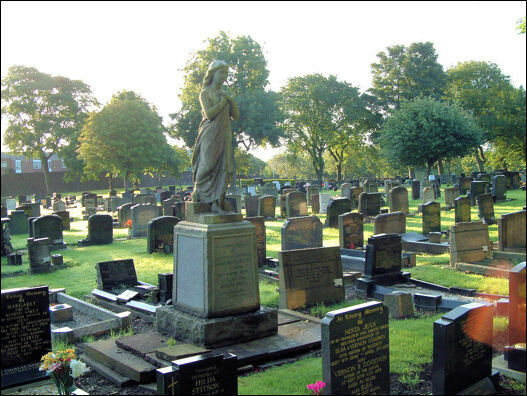 "The cemetery provided for the borough of Burslem was consecrated by the Lord Bishop of the Diocese on Tuesday, in the presence of the Mayor (Alderman Hulme), most of the members of the Corporation and borough officials, a number of clergy, and a large body of townspeople. 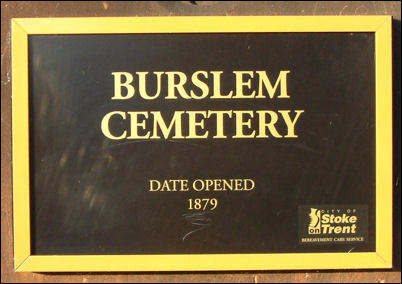 The Local Government Board constituted the late Local Board of Health a Burial Board for the parish of Burslem in 1873, Mr F Tennant being the prime mover in the effort to obtain a cemetery. They shortly afterwards began to look out for a suitable site, and ultimately fixed upon a piece of land about 28 acres in extent fronting Nettlebank at the extreme boundary of the parish on the Smallthorne side. The land was purchased from the Rev waiter Sneyd for £7,000 and about £10,000 has been spent in erecting suitable boundary walls, a registrar's office and lodge on the Smallthorne side, and a lodge at the North road entrance, draining the ground, laying out walks, and planting shrubs. By the advice of Mr Holland, of the Burial Acts Office, it was decided to lay out 5½ acres for burial purposes, reserving the rest and laying it out ornamentally as a kind of recreation ground. Much of the work was done by the late Local Board, and it has been continued by the Corporation. Large numbers have already used the ground for recreative purposes, although much of the space remains to be planted."